Tshukudu 4 Star Lodge Conference Facility offers delegates a flexible environment in which to focus solely on their task at hand. After a productive day of strategising and brainstorming, delegates can unwind with a Game Drive and sundowners, or an invigorating visit to Mystic Monkeys & Feathers Wildlife Park. A relaxing evening awaits around the Boma or at Tshukudu Lodge Restaurant. Tshukudu Lodge can accommodate 24 people sharing. Six of the twelve rooms feature en-suite bathrooms and balconies, allowing guests to enjoy the majestic views of an African sunset. The other six rooms feature courtyards with open air showers as an alternative to the shower and bath inside the room, enticing the more adventurous to become one with nature. 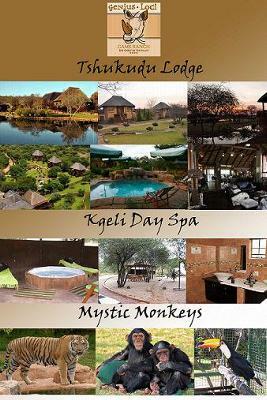 Delegates staying at Tshukudu Lodge have access to all the facilities of the lodge. Day conference delegates are welcome to make use of all the facilities at an additional cost.